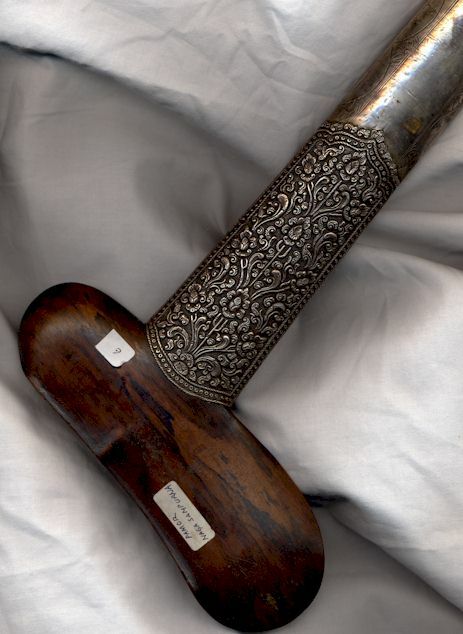 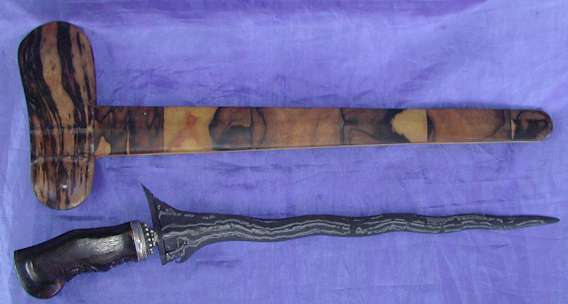 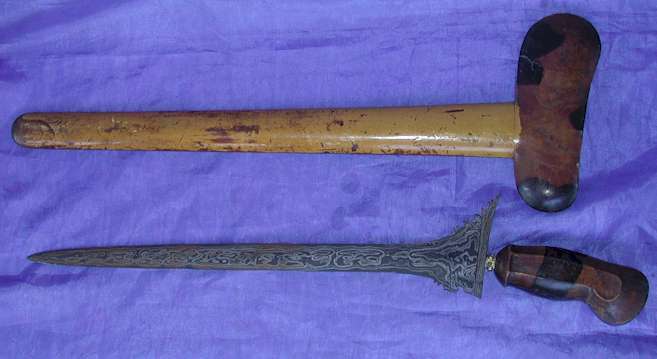 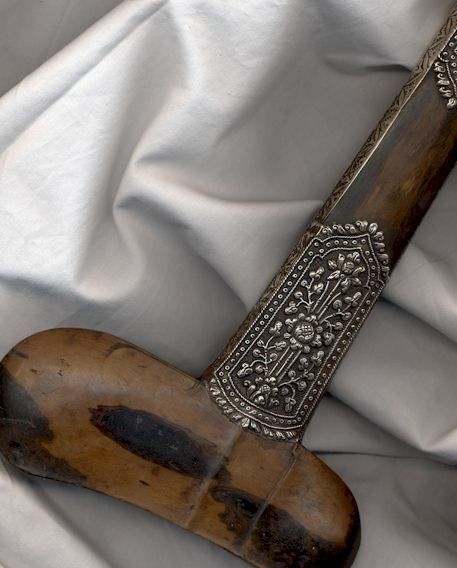 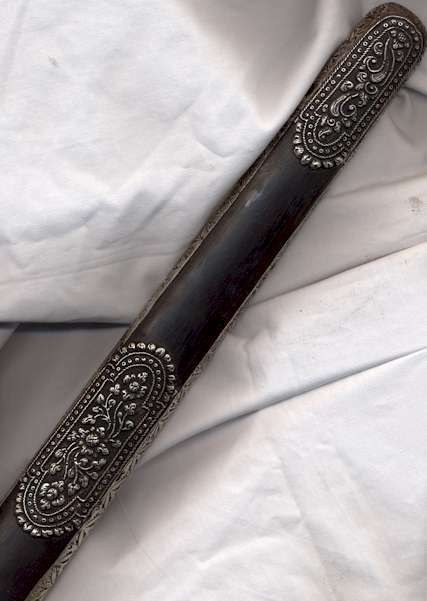 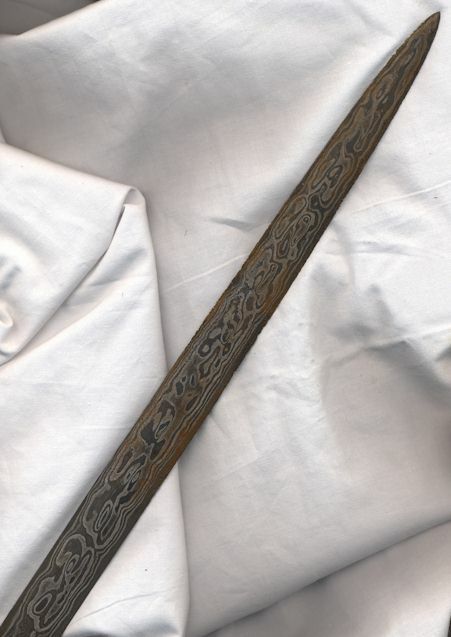 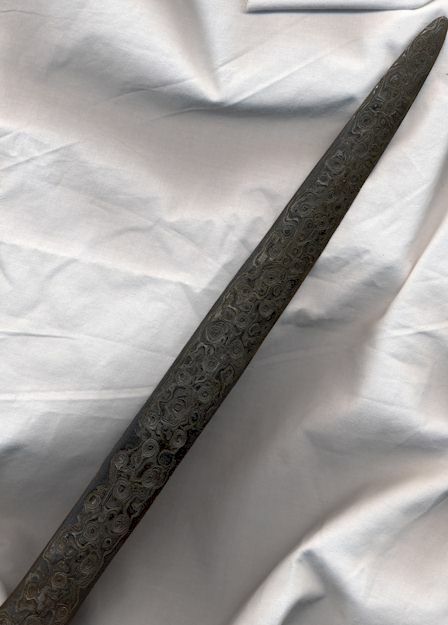 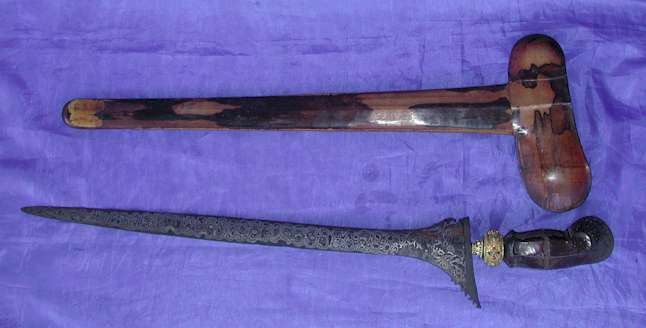 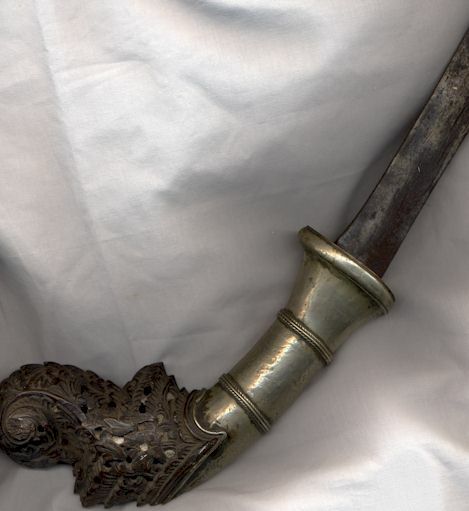 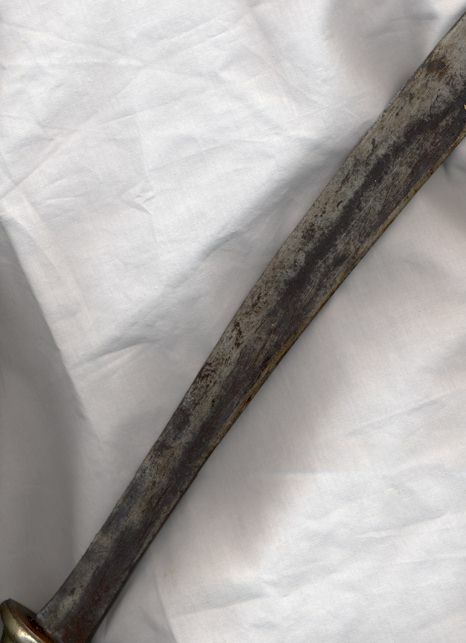 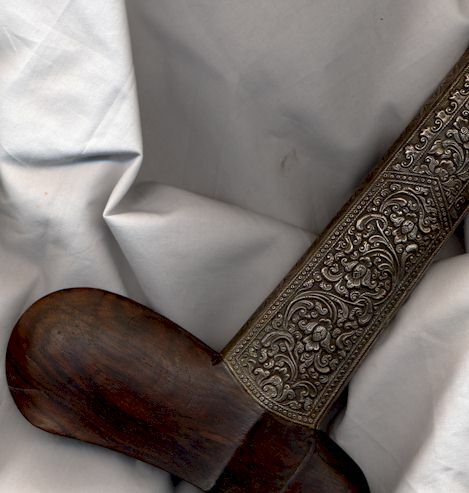 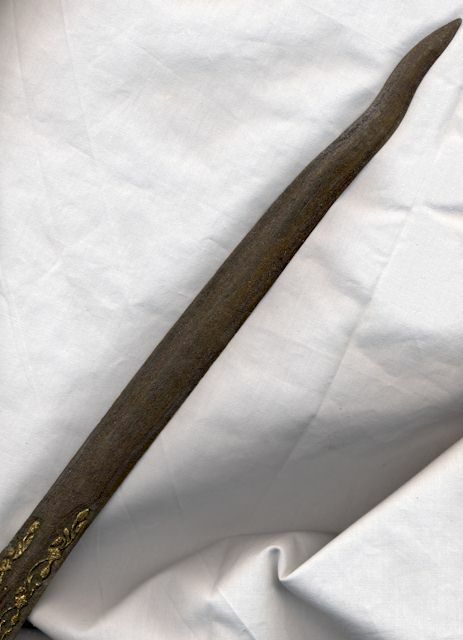 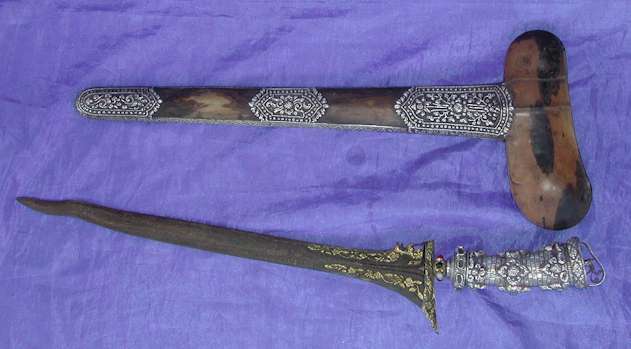 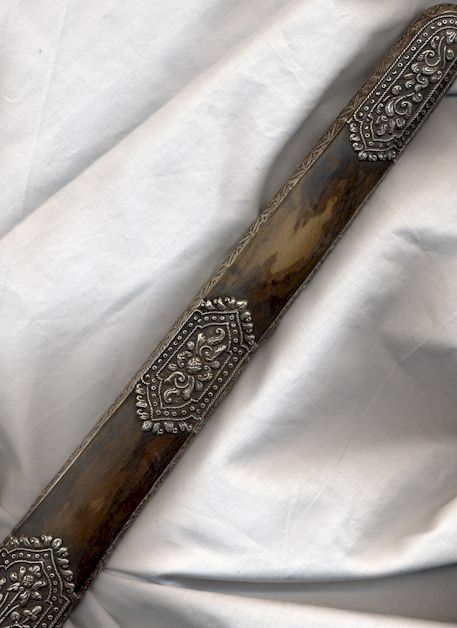 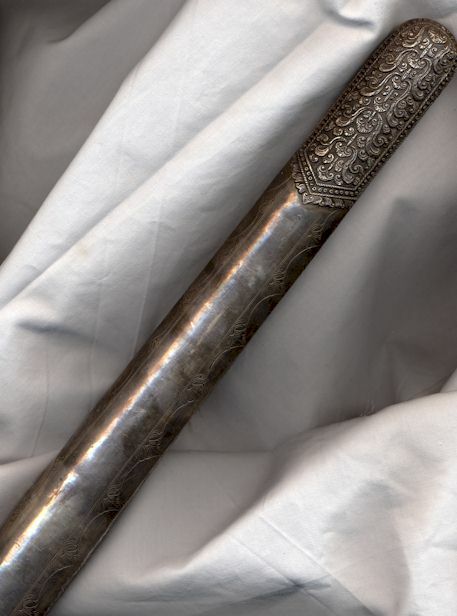 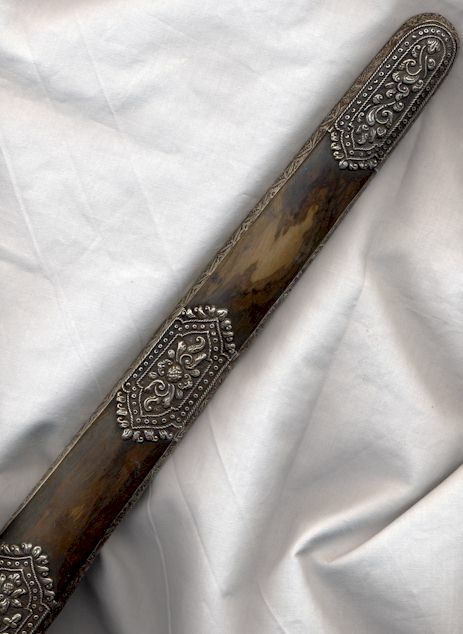 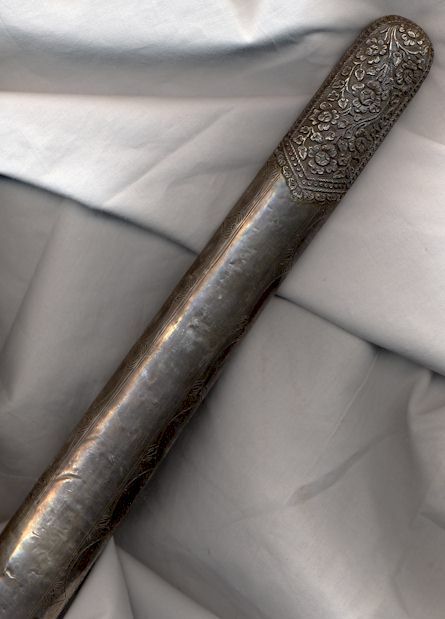 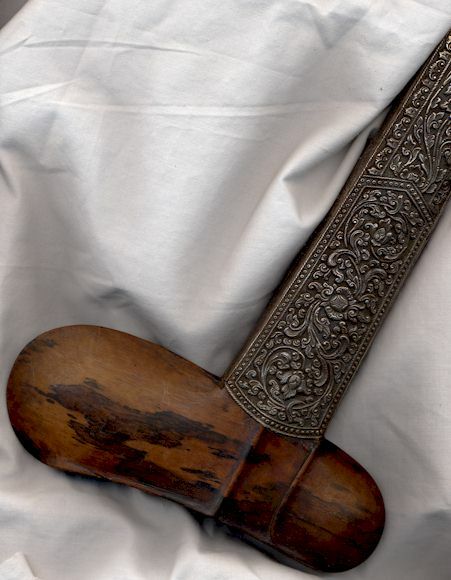 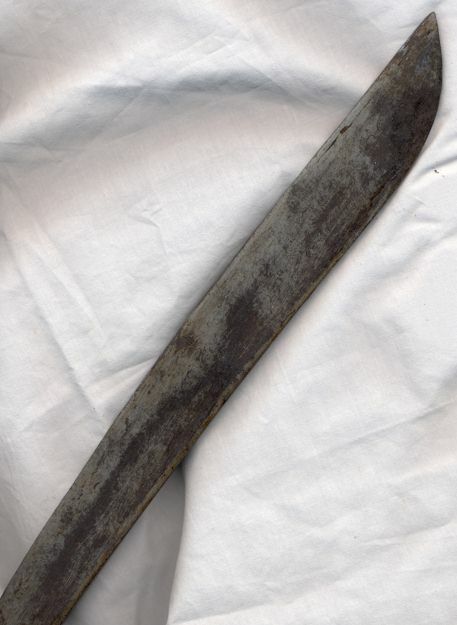 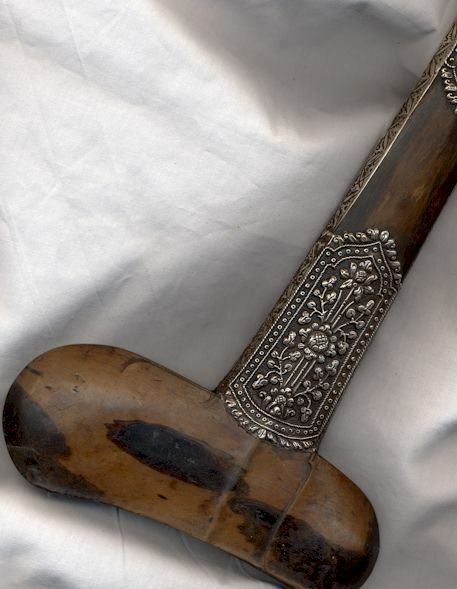 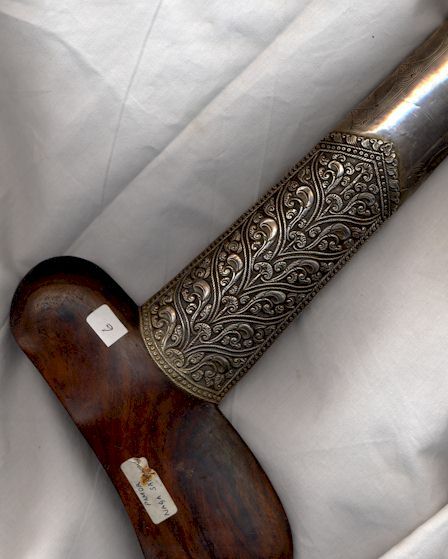 This is a selection of true Antiques that are for sale.Keris selections on this page are from the collection of Gro Gede Kanuruhan Pegatepan Sudirman. 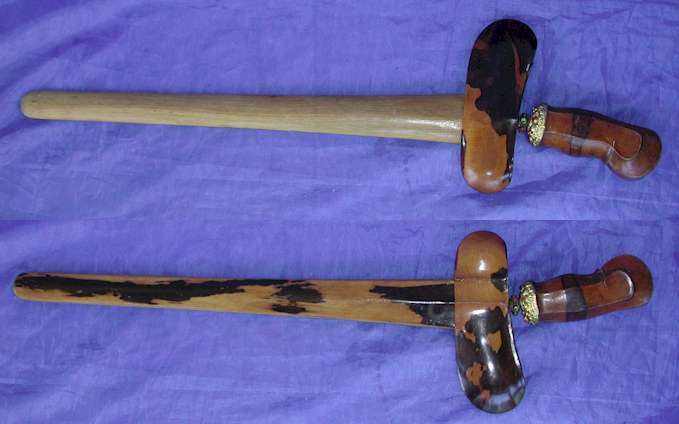 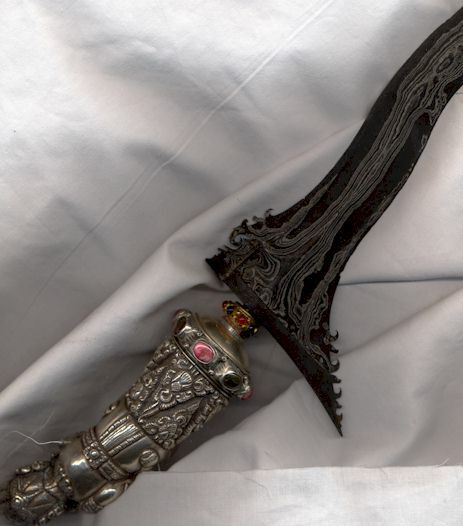 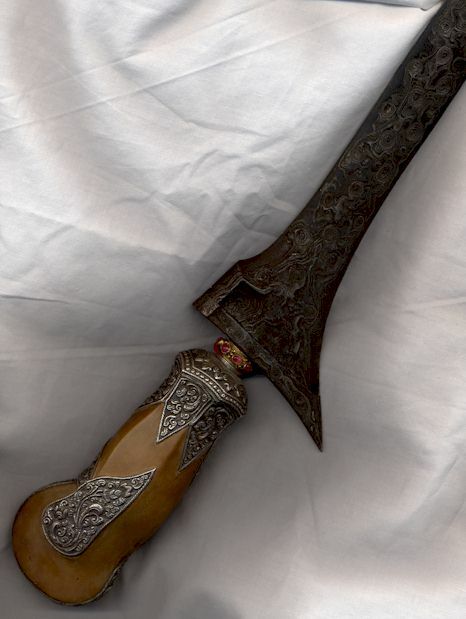 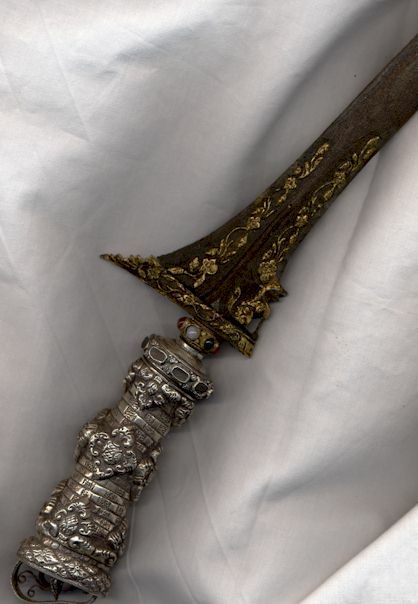 Mr. Sudirman has been a collector of Indonesian Keris in Bali for over 40 years and is well respected throughout Indonesia for his extensive knowledge of Keris history and his ability a assess Keris age and location of origin. 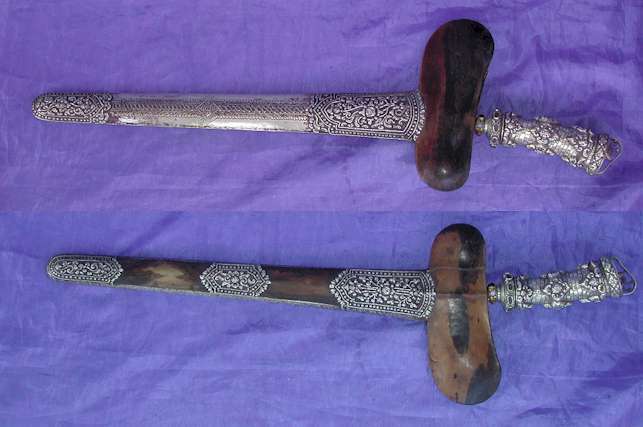 Due to Mr. Sudirman knowledge we sell these pieces. 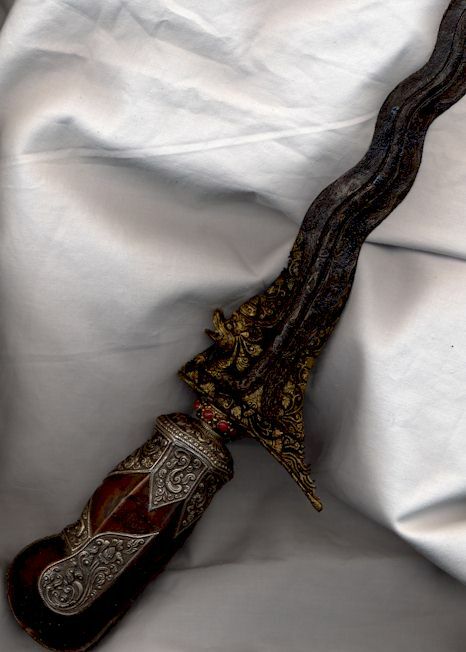 Please do not enquire about other Indonesian antiques because we do not have a credible trusted source for them. 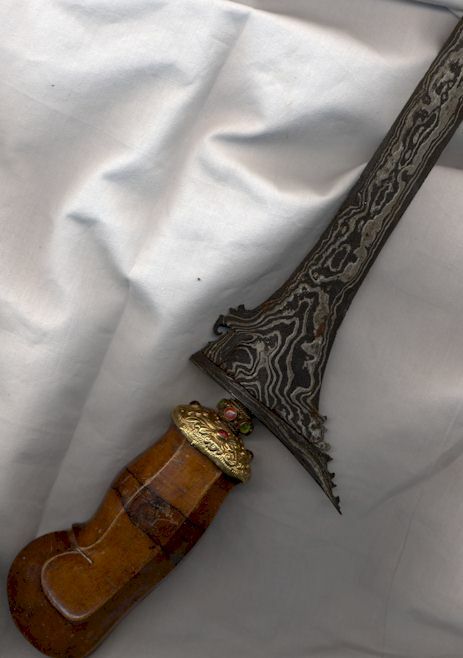 Age of Keris shown are for the blades only. 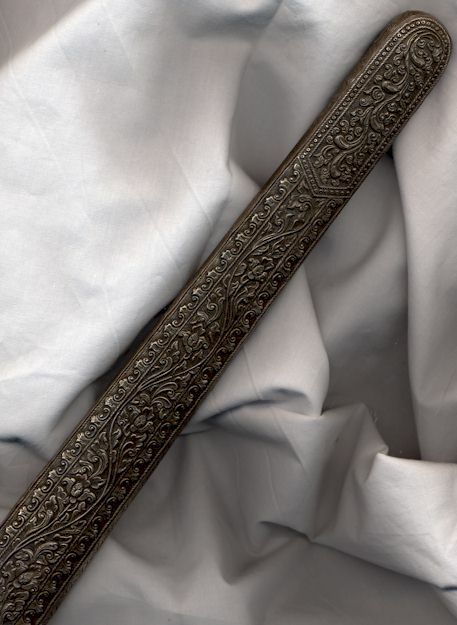 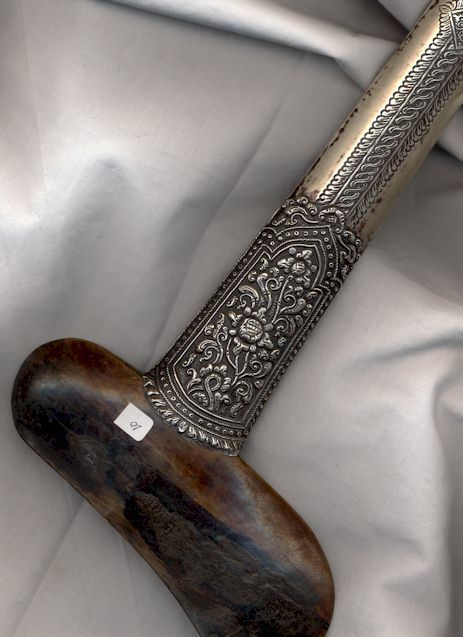 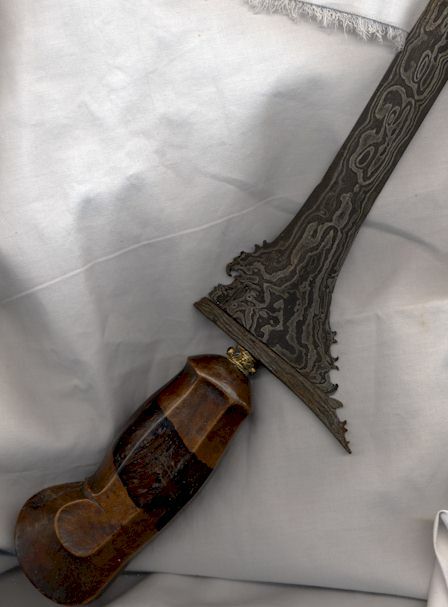 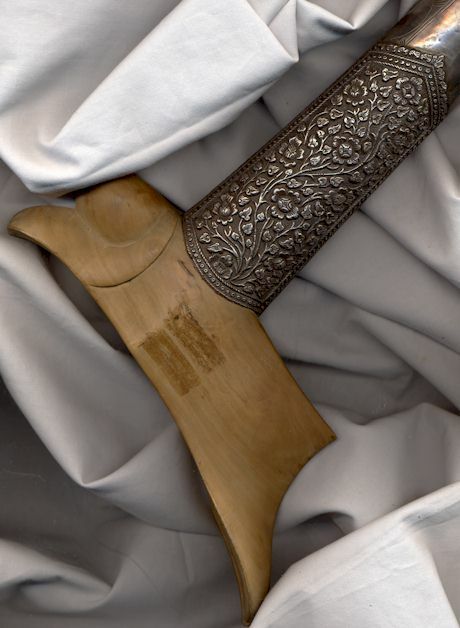 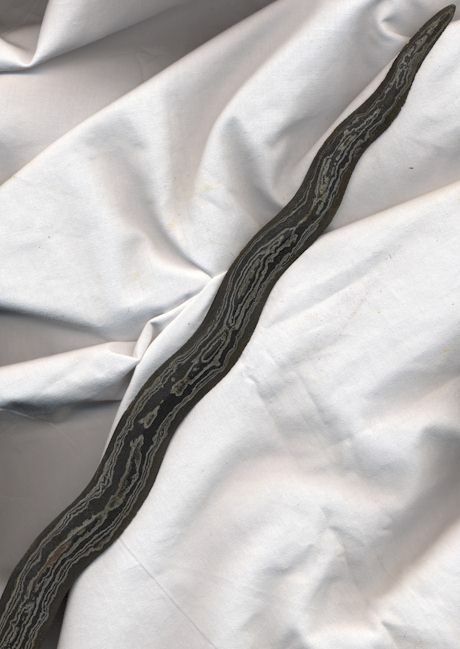 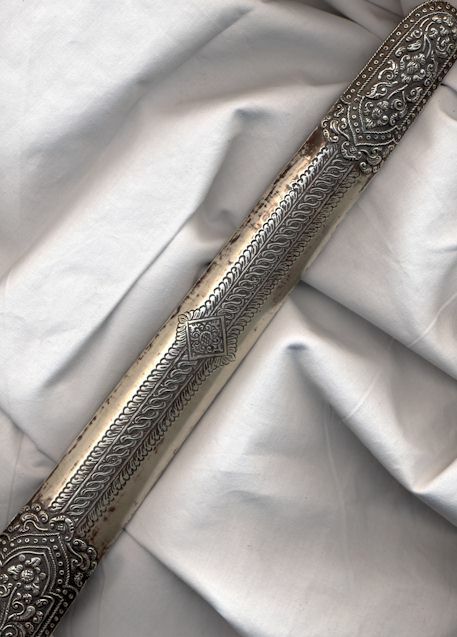 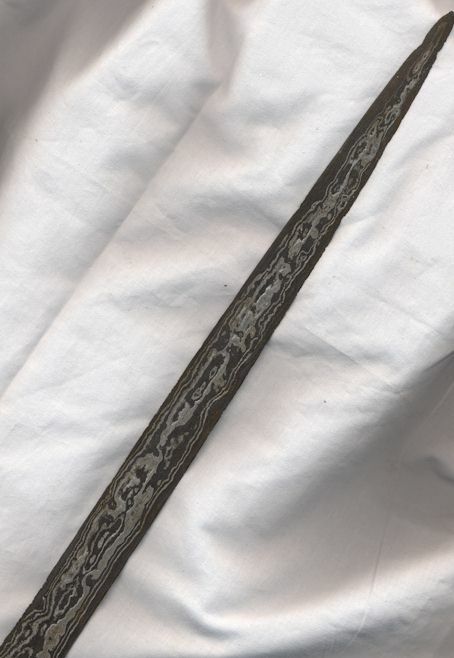 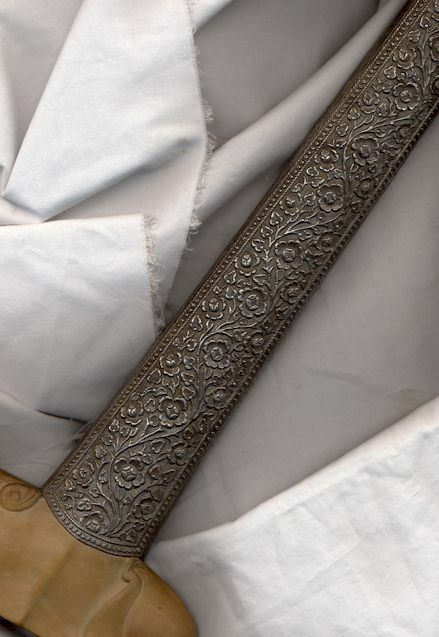 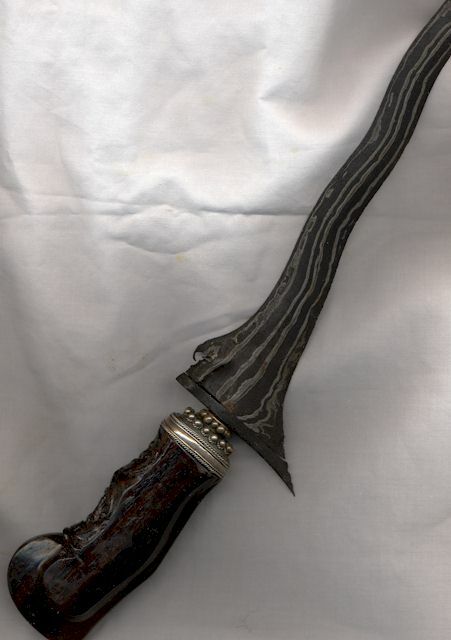 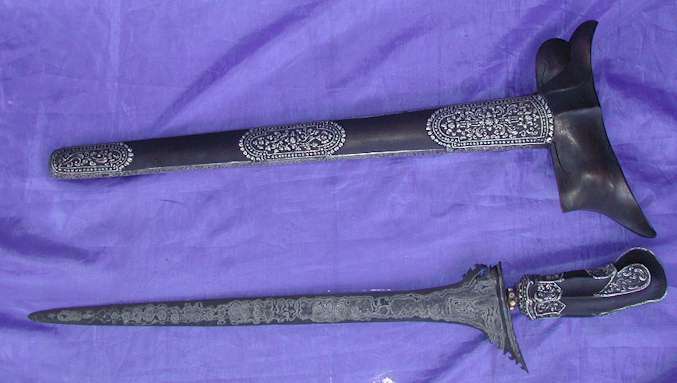 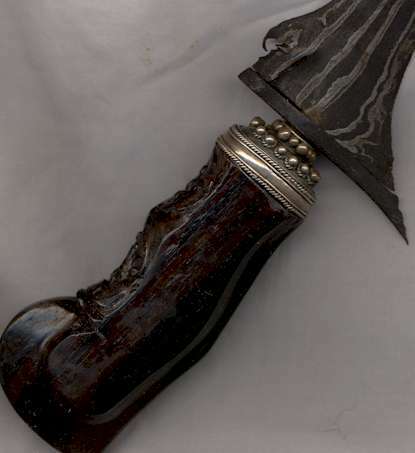 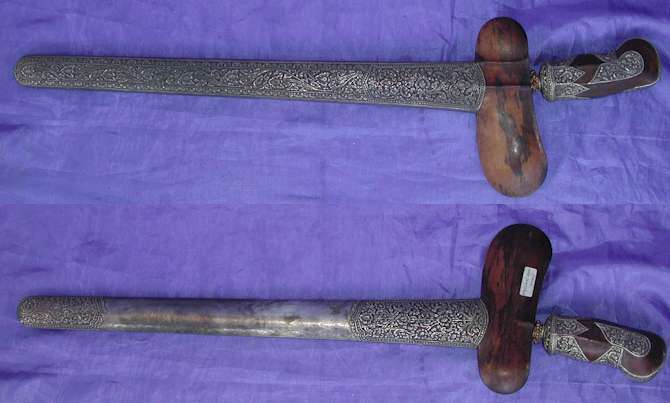 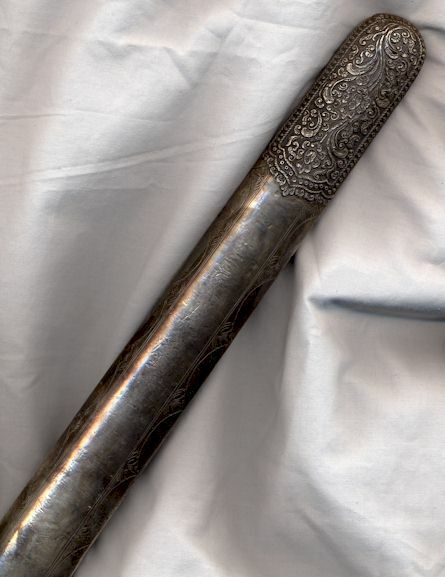 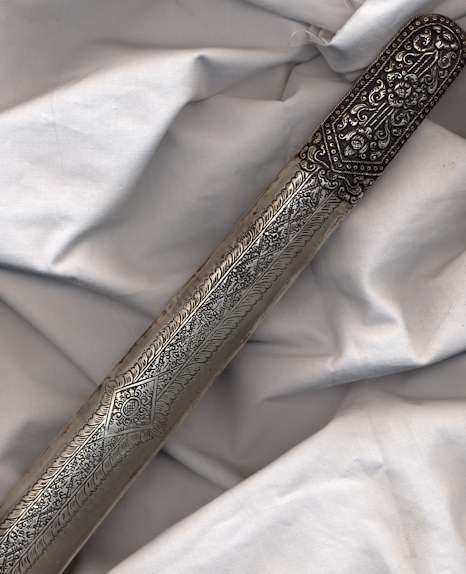 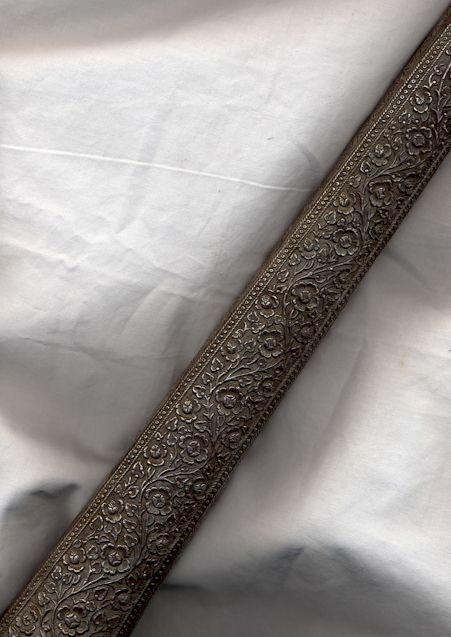 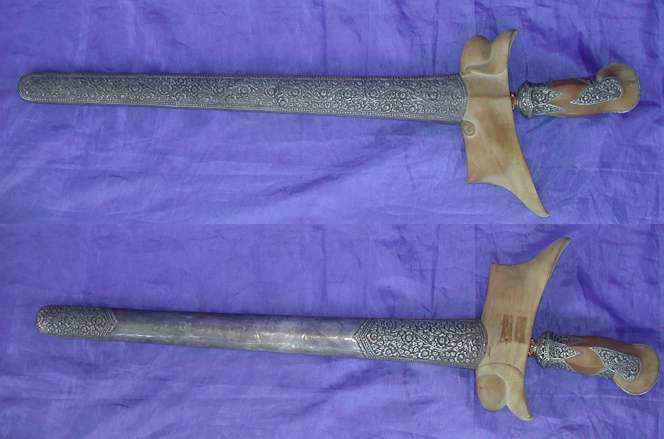 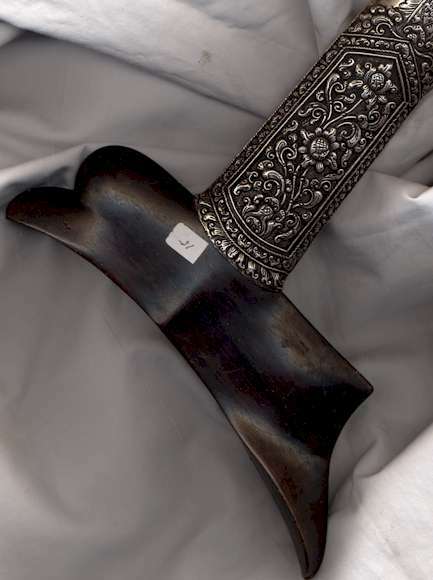 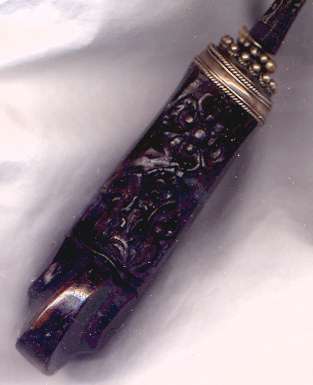 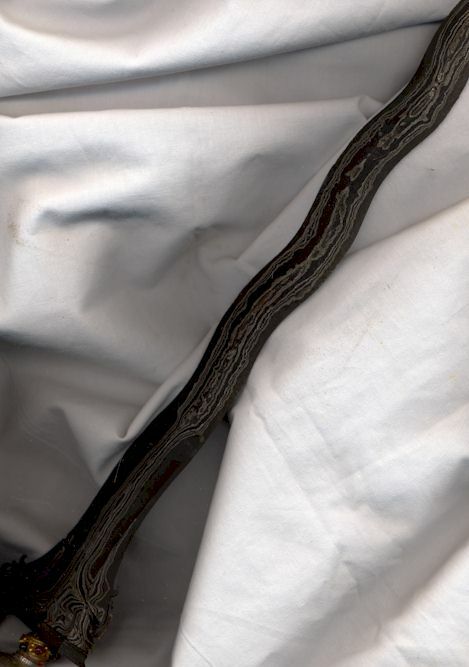 Sheaths and handles of these pieces are not the same age as the blades with the only exception being item Keris 11. 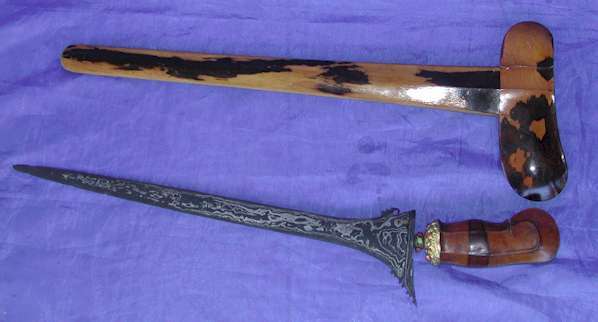 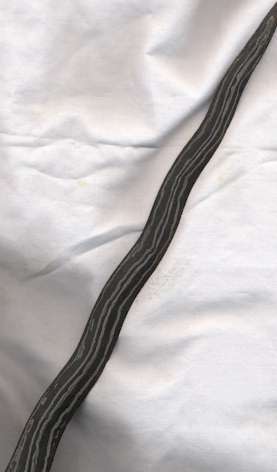 Description: Pamor (blade design: Teja Kinurung meaning "running watter"
Description Pamor (blade design): Bendo Segodo meaning "a lot of things"
Description Pamor (blade design): Beras Wetah meaning "a lot of rice"
Description Pamor (blade design): Kulit Semangka meaning "husk of melon"
Description Pamor (blade design): Hujan Emas meaning "Golden Rain"
Description Pamor (blade design): Walang Sinuduk meaning "Grasshopper Stick"
Description Pamor (blade design): Naga Sampurna meaning "Perfect Dragon"
Description Pamor (blade design): Naga Anggrek Kamaroga meaning "Orchid Dragon"
Description Pamor (blade design): Singa Barong Damar Murug meaning "Protecting Lion with Fire"
Description Pamor (blade design): Kinurung Kulit Sumangka meaning "princess"